Val Chmerkovskiy is playing coy about romance rumors linking him to Amber Rose. The Dancing With the Stars pro — whose brother, Maksim, was Rose’s partner on this season of the reality dancing competition series — shared some steamy snapshots with the TV personality taken during her 33rd birthday over the weekend. However, Chmerkovskiy brushed aside the speculation when speaking with ET’s Angelique Jackson after Monday’s DWTS. “You know, I post a lot of pictures with Laurie too and, for some reason, thankfully, there’s no romance rumors there!” Chmerkovskiy said, referring to his 16-year-old DWTS partner, Olympic gymnast Laurie Hernandez. “I can’t control what people think,” the 30-year-old Ukrainian dancer quickly added. “I live my life and I try to live it, you know, the way I want to live it.” Chmerkovskiy took to Instagram on Sunday to share his birthday wishes with Rose, alongside a very cozy pic of the two of them from her party. 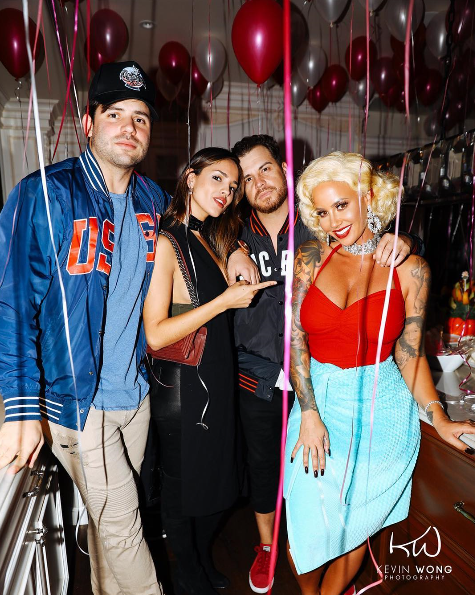 Keeping in mind it was a birthday party which mean there were others there including Amber Roses mom, Dorothy Rose, Rob Kardashian, Valentin Chmerkovskiy and a host of others were at the pool party. 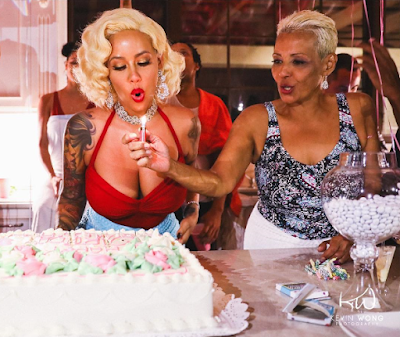 Amber Rose who turned 33 years old on Oct 21, celebrated her birthday over the weekend and from the looks of things everyone had a ball!! !